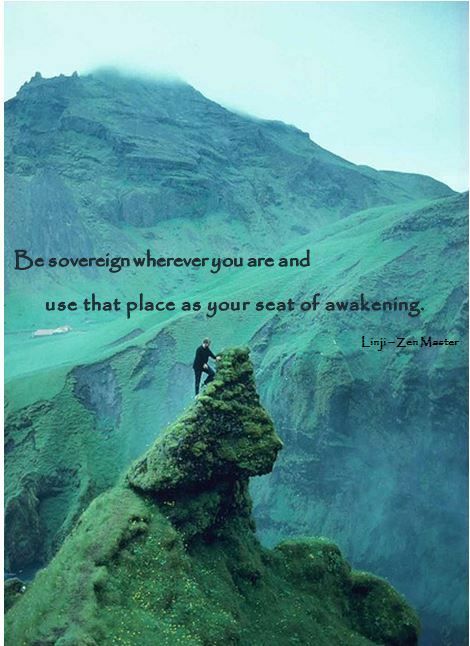 and use that place as your seat of awakening”. “Many of us have spent our whole lives learning, questioning, and searching. Another favorite of mine is the Japanese term: “ichigyo zammai“. This translates as “one practice samadhi”, meaning everything you do is performed with a sense of your complete body-mind. In this way fragmentation of consciousness, one of the main reasons for suffering, is reduced or eliminated. The present moment then opens up and you begin to taste the depth of this NOW. Lately I hear these words: “ichigyo zammai” first thing after waking. A good way to start the day! This post contains a bit over two pages from the book “Zen Mind, Beginner’s Mind” – the Chapter “Single Minded Way” by Shunryu Suzuki. At the bottom of this post please find the YouTube video of this chapter read by Peter Coyote. 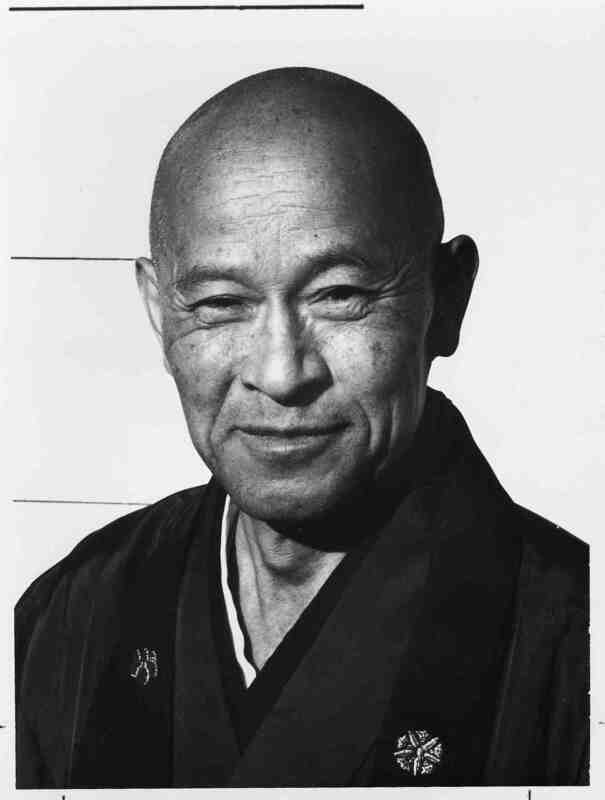 This post contains three pages from the book “Zen Mind, Beginner’s Mind” by Shunryu Suzuki. These three pages, if brought into your life, will bring you depth and equanimity. “When we practice zazen our mind always follows our breathing. When we inhale, the air comes into the inner world. When we exhale, the air goes out to the outer world. The inner world is limitless, and the outer world is also limitless. We say “inner world” or “outer world,” but actually there is just one whole world. In this limitless world, our throat is like a swinging door. The air comes in and goes out like someone passing through a swinging door. If you think, “I breathe,” the “I” is extra. There is no you to say “I.” What we call “I” is just a swinging door which moves when we inhale and when we exhale. It just moves; that is all. When your mind is pure and calm enough to follow this movement, there is nothing: no “I,” no world, no mind nobody; just a swinging door. This post contains a little over two pages from the book “Zen Mind, Beginner’s Mind”, the chapter NON-DUALISM, by Shunryu Suzuki. At the bottom you will find the YouTube video of Peter Coyote reading this audio book. We say our practice should be without gaining ideas, without any expectations, even of enlightenment. This does not mean, however, just to sit without any purpose. This practice free from gaining ideas is based on the Prajna Paramita Sutra. However, if you are not careful the sutra itself will give you a gaining idea. It says, “Form is emptiness and emptiness is form.” But if you attach to that statement, you are liable to be involved in dualistic ideas: here is you, form, and here is emptiness, which you are trying to realize through your form. To stop your mind does not mean to stop the activities of mind. It means your mind pervades your whole body. Your mind follows your breathing. With your full mind you form the mudra in your hands. With your whole mind you sit with painful legs without being disturbed by them. This is to sit without any gaining idea. At first you feel some restriction in your posture, but when you are not disturbed by the restriction, you have found the meaning of “emptiness is emptiness and form is form.” So to find your own way under some restriction is the way of practice. Practice does not mean that whatever you do, even lying down, is zazen. When the restrictions you have do not limit you, this is what we mean by practice. When you say, “Whatever I do is Buddha nature, so it doesn’t matter what I do, and there is no need to practice zazen,” that is already a dualistic understanding of our everyday life. If it really does not matter, there is no need for you even to say so. As long as you are concerned about what you do, that is dualistic. If you are not concerned about what you do, you will not say so. When you sit, you will sit. When you eat, you will eat. That is all. If you say, “It doesn’t matter,” it means that you are making some excuse to do something in your own way with your small mind. It means you are attached to some particular thing or way. 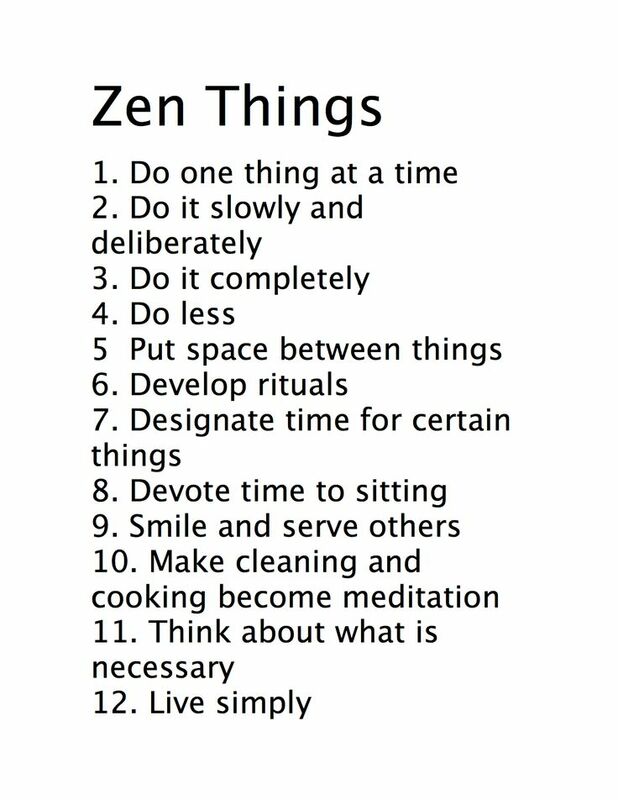 That is not what we mean when we say, “Just to sit is enough,” or “Whatever you do is zazen.” Of course whatever we do is zazen, but if so, there is no need to say it. When you suffer from an illness like cancer, and you realize you cannot live more than two or three years, then seeking something upon which to rely, you may start practice. One person may rely on the help of God. Someone else may start the practice of zazen. His practice will be concentrated on obtaining emptiness of mind. That means he is trying to be free from the suffering of duality. This is the practice of “form is emptiness and emptiness is form.” Because of the truth of emptiness, he wants to have the actual realization of it in his life. If he practices in this way, believing and making an effort, it will help him, of course, but it is not perfect practice. Knowing that your life is short, to enjoy it day after day, moment after moment, is the life of “form is form, and emptiness emptiness.” When Buddha comes, you will welcome him; when the devil comes, you will welcome him. 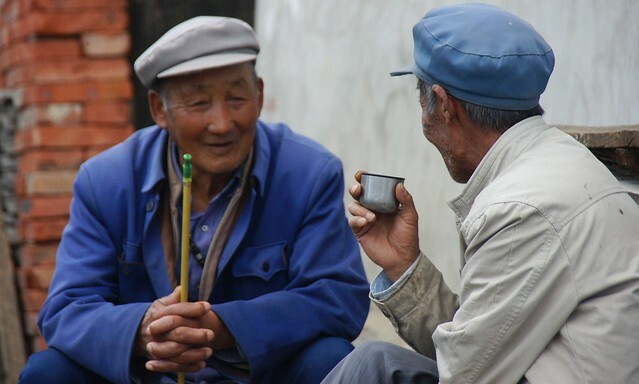 The famous Chinese Zen master Ummon, said, “Sun-faced Buddha and moon-faced Buddha.” When he was ill, someone asked him, “How are you?” And he answered, “Sun-faced Buddha and moon-faced Buddha.” That is the life of “form is form and emptiness is emptiness.” There is no problem. One year of life is good. One hundred years of life are good. If you continue our practice, you will attain this stage. At first you will have various problems, and it is necessary for you to make some effort to continue our practice. For the beginner, practice without effort is not true practice. For the beginner, the practice needs great effort. Especially for young people, it is necessary to try very hard to achieve something. You must stretch out your arms and legs as wide as they will go. Form is form. You must be true to your own way until at last you actually come to the point where you see it is necessary to forget all about yourself. Until you come to this point, it is completely mistaken to think that whatever you do is Zen or that it does not matter whether you practice or not. But if you make your best effort just to continue your practice with your whole mind and body, without gaining ideas, then whatever you do will be true practice. Just to continue should be your purpose. When you do something, just to do it should be your purpose. Form is form and you are you, and true emptiness will be realized in your practice. Dear Friends, I wrote the following poem during the war in Vietnam after the town of Ben Tre was bombed by the United States Air Force. Ben Tre is the hometown of my colleague, Sister Chân Không. The U.S. forces destroyed the entire town because there were five or six guerrillas there. Later on, one officer declared that he had to bomb and destroy Ben Tre to save it from Communism. “…the way each thing exists is not to be understood by itself in its own realm of consciousness.